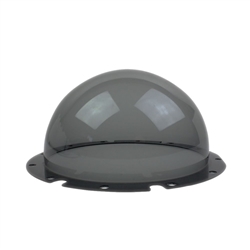 This 4K Optically Pure Vandal Tough CLEAR Lens for D-Series Camera Housings (KT-CLNS-4K) is the best solution providing camera and camera lens protection with the highest level of lens clarity and vandal protection for all Dotworkz D2 or D3 camera housings. This enclosures lens is guaranteed to be crystal clear for all cameras that are 4K ready. The 4K Optically Pure Vandal Tough CLEAR Lens for D-Series Camera Housings (KT-CLNS-4K) mounts securely to all Dotworkz D2 or D3 camera housings. This 4K Optically Pure Vandal Tough TINTED Lens for D-Series Camera Housings (KT-TLNS-4K) is the best solution providing camera and camera lens protection with the highest level of lens clarity and vandal protection for all Dotworkz D2 or D3 camera housings. This enclosures lens is guaranteed to be crystal clear for all cameras that are 4K ready. The 4K Optically Pure Vandal Tough TINTED Lens for D-Series Camera Housings (KT-TLNS-4K) mounts securely to all Dotworkz D2 or D3 camera housings.